Henry Holt and Co. (BYR), 9780805047141, 152pp. "There ain't no words right enough to explain feelin' free." On a dark Texas night in 1863 Midnight Son escapes from the plantation where he has lived all his life. In constant fear of bounty hunters, he hides in trees during the day and travels by night until he makes it across the border into Mexico. 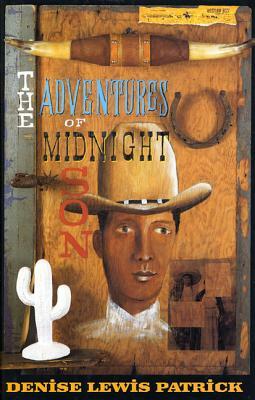 Free from slavery, Midnight finds work as a ranch hand and soon learns the ropes of a cowpoke. But as exciting as the job is, Midnight must face life-threatening situations everyday--like leading a team through a twister--in order to protect his herd. Denise Lewis Patrick explores the physical and emotional experiences of a young cowboy who is coming to grips with his past, learning to accept the racial tensions around him, and ultimately embracing the goodness he has found in others. Denise Lewis Patrick has written more than twenty books for children. Before writing full-time, she worked in publishing as a staff writer and editor. Denise has been telling stories since she was eight years old. She remembers, as a child, binding her hand-written manuscripts with a needle and thread to create her very own books.Ms. Patrick lives on Staten Island with her husband and their four sons. This is her first book for middle-grade readers.